Kitejunkie.com, the premium Kiteshop, Kiteschool and Kiterepair, close to Munich, becomes Industry Partner at the IKA SnowKite WorldCup at Lake Reschen. 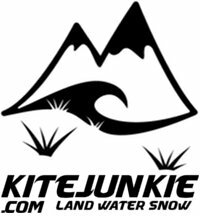 Kitejunkie.com - a well known partner within the kite industry for kitesurfing on land, water and snow! They are not only a premium kiteshop where you can purchase new and used gear - they also offer lessons for snowkiting, kitesurfing and kitelandboarding. If you are a kitesurfing fan and you are looking for great support and guidance in Germany you should visit their shop close to Munich or check out their online-shop. Even if you need some help or repairs on your kites, board and bar - kitejunkie.com will be more than happy helping you with their knowledge and experiences. We are more than happy and thankful for the support during the first stop of the IKA SnowKite WorldCup at Lake Reschen in South Tyrol. You are looking for eqiupment? Check out their website and Social Media Account.